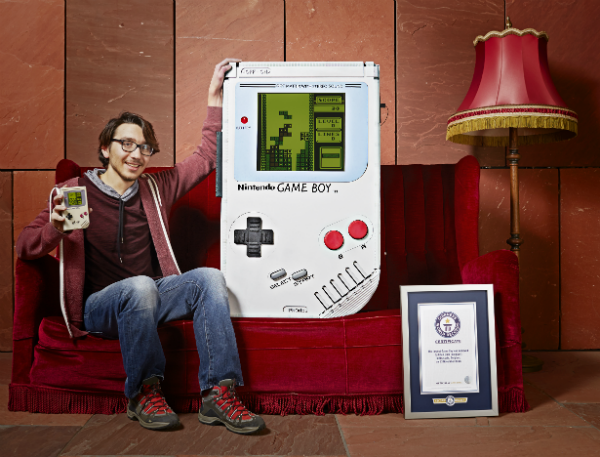 Many gamer’s dreams may have just come true thanks to Ilhan Ünal – a multimedia and communication science student who has entered the Guinness World Records 2018 Gamer’s Edition for creating the Largest Game Boy. 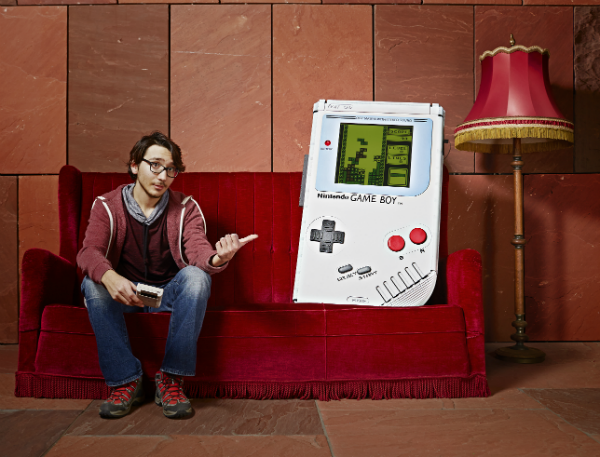 The Brussels-based gamer works as a software and hardware developer on the weekend and has used his skills to craft this supersized device, known as the Game Boy XXL. ► Subscribe for more || http://po.st/GWR-Subscribe ► Watch the GWR’s Favourites || http://po.st/GWRFavs Ilhan Ünal is a tech student who has entered the Guinness World Records 2018 Gamer’s Edition for creating the world’s largest Nintendo Game Boy. The monster machine is fully functional, with everything running off a Raspberry Pi hidden in the oversized external connector socket. “The Game Boy was a huge part of many people’s childhoods, including my own. I was obsessed with my Game Boy as a kid, so I wanted to create something that would put a smile on little Ilhan’s face, and hopefully on the face of anyone who is a big kid at heart,” said Ilhan. Approximately 6.75 times the size of the classic Nintendo Game Boy, it has a volume of 120 litres – which is about two times the volume of an average human body! The device itself measures to be 1.01 metres tall (3.31 ft), 0.62 metres (2.03 ft) wide and 0.2 metres deep (0.65 ft), making for one grand dose of gaming fun. According to Ilhan, making the Game Boy XXL was a huge challenge. He had to work around his studies and coursework, using any free time to construct the Game Boy at the school laboratory where there was limited space and resources. However, the labs he used had three laser cutter machines which proved to be very useful when it came to building the device. Ilhan’s inspiration for the invention came from his friend, who wanted it for an educational project he was working on. 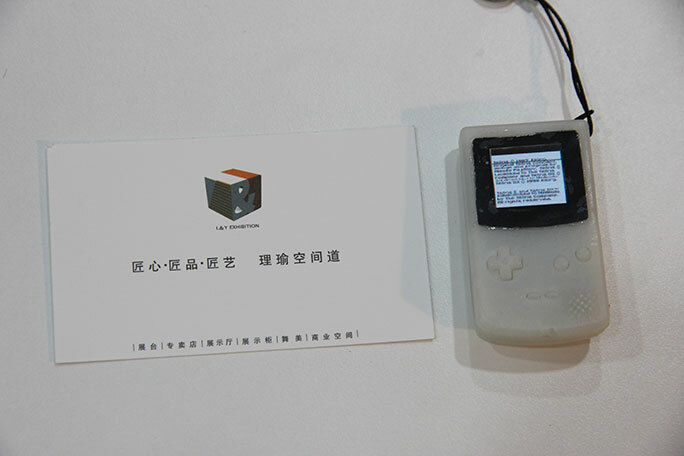 Once finished, the device became massively popular – drawing a line of visitors and players to the events it appeared at. Sadly, Ilhan does not get many opportunities to play on his giant Game Boy himself, as he spends the majority of his time balancing his studies, girlfriend, and other jobs. However, when he does play, the Belgian student gets quite the workout. Ilhan says that pressing the buttons requires so much strength that he can’t feel his arms after an hour of playing! Although he has seen tremendous success with his first record-breaking invention, Ilhan still has a few more big projects he intends to carry out in the future. 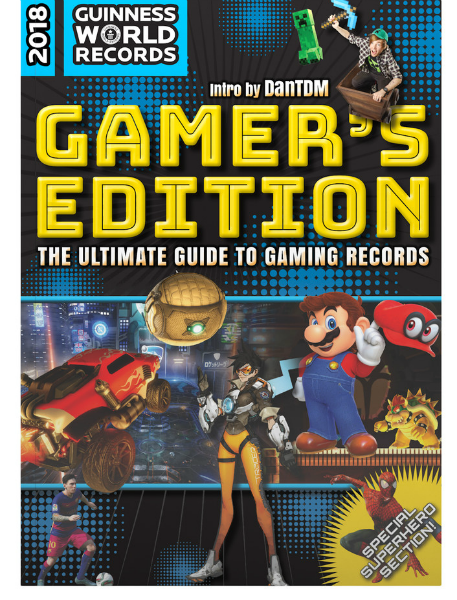 Both masterpieces are featured in the new Guinness World Records 2018 Gamer’s Editionalongside hundreds of other videogaming achievements.